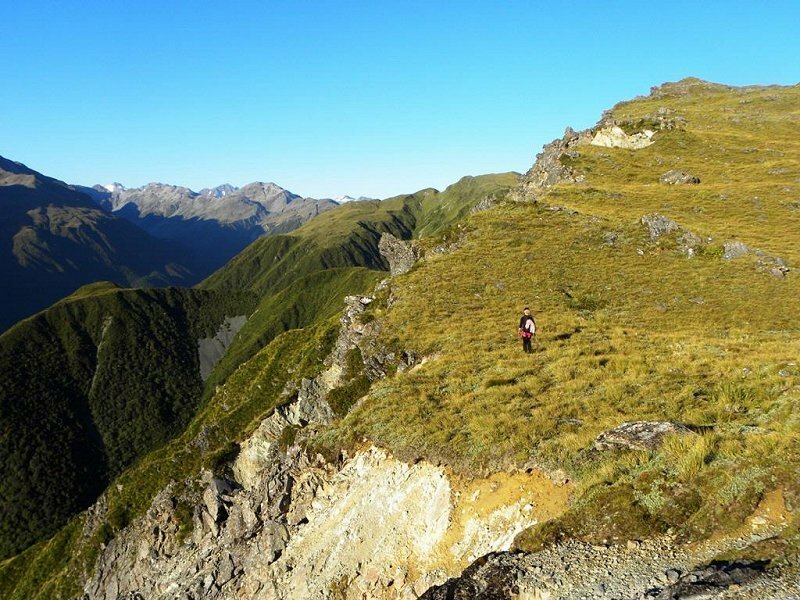 FEATURES: Podocarp - Broadleaf forest, views down the Taramakau & Otira Valley, Alpine tarns, fault scarps, old gold mines. 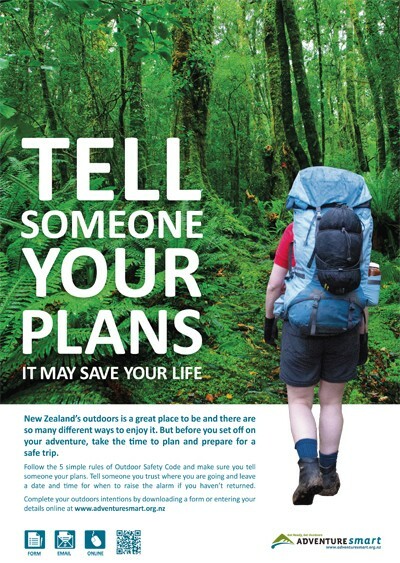 LOCATION:Track starts at the carpark, at the end of the side road that goes in behind Kellys Creek shelter, 20km West of Arthur's Pass Village. DESCRIPTION: The track climbs steeply up through Rainforest, to the hut which is situated just above the scrub line. 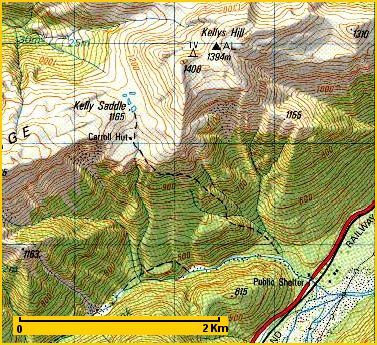 A good base to explore further the saddle beyond the hut, with alpine tarns, alpine flowers and striking fault scarps. 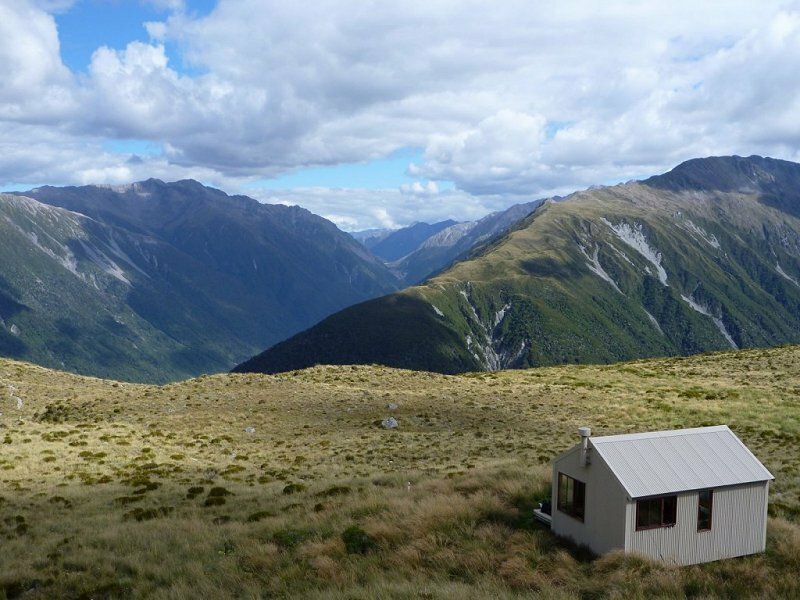 Climb Kellys hill to the left of the hut for views all the way to the Tasman Sea.